Premier Partner of BT and BT Partner of the Year 2016/17 recognised for our work across Global and UK connectivity. Want to learn about the latest BT WAN services? Surrounding the BT SD-WAN product are Cloud, Security and Managed LAN together with numerous other options. We'll walk you through the entire product set. Learn about the latest Managed WAN offerings at your office in a 2 hour session with Techtarget.com writer Robert Sturt. We'll talk you through every aspect of the current portfolio. Advance your knowledge of SD-WAN with a free bi-weekly live Webinar from BT Premier Partner, The Network Union. Thoughts and advice you and your team can quickly apply to live projects or future investigations. We’re trusted by numerous organisations including Permira Global, British Legion, CDC Global, Russell Finex and more. Every two weeks, techtarget.com writer Robert Sturt presents the key concepts any IT team must know when considering the procurement of SD-WAN services. Build your knowledge of SDN use cases, the pros / cons and overall opportunities software-defined networking is bringing to UK and Global Enterprise business. Robert spent a number of years working for Verizon Business before joining one of BT’s fastest growing WAN connectivity agencies, Network Union. TNU is currently BT Partner of the Year and a recognised resource for any business embarking on WAN, Security and Cloud procurement. Using a sales process you can trust, we can help you identify new opportunities that can accelerate WAN capability. In our agency, we strongly believe software-based WAN services will be the leading technology within the short to medium term. However, the challenge for IT is to force service provider transparency vs. Business requirements. If you’re searching for SD-WAN content, you’ll no doubt be reading about the demise of MPLS providers. The technology is doomed, finished; add any negative doomsday prediction and you’ll get the idea. While there is certainly some substance to these claims, readers are advised to be wary of single connectivity technology implementations. In short, SD-WAN providers with Internet-only implementations. The original SDN (Software Defined Networking) proposition surrounded the capability to support agnostic connectivity. SDN presented an open standard to implement hardware with multiple interface choices. The intelligence arrives from a centralised management server via dedicated or virtualised servers. The current SD-WAN vendor landscape varies from the perspective of solution features and benefits. With some solutions leveraging the ‘Internet only’ approach via a single public IP backbone, others are using multiple ISPs and some are meeting the original concept head-on by supporting MPLS, VPLS and Internet. What do we cover in the Webinar sessions? In the main, we aim our sessions at IT Management in order to convey the business benefits of SD-WAN services. The following are our top 6 subjects. This may, initially, appear to be a fairly simplistic question but the buzz and excessive marketing mean that many IT teams cannot be sure of the agnostic technology benefits. In our sessions, we discuss the original concepts for SDN (Software Defined Networking) using business case studies to outline how the technology may benefit your business. Is SD-WAN an agnostic technology? With many companies leveraging public IP backbones (the Internet) to form the basis of their SD-WAN solution. The basis for using the Internet is often to save money by utilising the lowest cost provider in any given location. However, the implications of making such decisions must be carefully considered. How to compare SD-WAN vs. MPLS vs. VPLS? With certain SD-WAN vendors predicting the demise of MPLS, we’ll put some clarity on each technology together with benefits. Is MPLS really doomed? We don’t think so, hybrid WAN solutions form the basis of most Global and UK networks designs our team architect. More than deciding which technology may be better from a technical perspective, the workshop is designed to detail where and when certain design scenario’s demand the use of each service. Software WAN services and application performance (QoS)? A major differentiator between Internet and Private networking surrounds QoS (Quality of Service) with focus on end to end application flow. With private MPLS, packets are policed and prioritised end to end resulting in predictable application peformance. However, depending on the variation, your SD-WAN solution over the Internet will only prioritise traffic on a local basis. Service providers, what to look for and consider? Perhaps one of the most important issues when procuring any WAN technology. First and foremost, deciphering marketing requires asking the right questions - essentially forcing service provider transparency. Achieving a good clear outcome essentially revolves around gaining clarity on true coverage, processes and pricing. Use cases for Software based WAN services? Gaining an understanding of technology is often gained by the use of real-world scenarios. Within our webinar, we’ll make use of selected ‘use cases’ enabling you and your team to relate examples to your own business. While the focus surrounds SD-WAN, the use case discussion shows how to leverage hybrid networking including layer 3 MPLS, layer 2 VPLS and IPSec VPN. We discuss security aspects vs. User type, location and connectivity - i.e. connecting from Hotel wifi compared to the HQ. The take-away from our webinars? Our intent is to remain objective when discussing WAN technologies. With the innovation occurring across all IT services, the WAN remains an important component to accomplish overall business objectives. Enterprise businesses are making use of cloud offerings including virtualisetion, storage and network resource that are all advancing at a huge pace. While SD-WAN and MPLS certainly meet objectives at a high level, tight alignment of both the technical together with every day delivery, security, support and capability must be carefully considered to avoid a feature led sales process. The telecoms marketplace is often led with features and benefits with companies making purchasing decisions on information that may not be fully transparent. Why we run the webinars? Our objective is always to educate. As a BT Premier Partner (purveyor of genuine BT Global and UK SD-WAN connectivity), we’d welcome the opportunity to let you know how we work. If this detail isn’t of interest then no problem. Our content and resources are always provided without any demands on your business to take any next steps with Network Union. 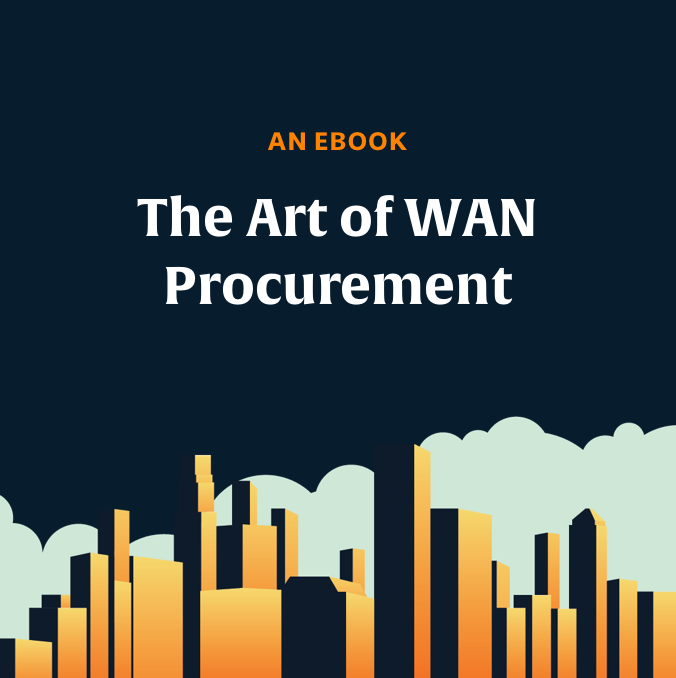 The Art of WAN Procurement – Rated as excellent by Permira, British Legion, CDC Global and others. Our free 2 hour training sessions are available at your office. Using just a whiteboard and pen our techtarget.com writer will run through the latest technologies and design scenario’s involving SD-WAN, MPLS, VPLS, Internet VPN, Security and Cloud access.